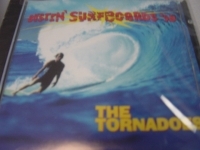 Surf Cds - items 25 to 50 Shop MyMusicFix!! 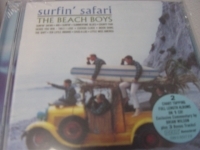 "The Beach Boys, Surfin' Safari"
"The Lively Ones, Heads Up! The Best Of The Lively Vol. 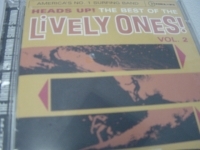 2"
"The Lively Ones, Surf Drums"
Rare Out of Print Surf The Lively Ones: Jim Masoner, Ed Chiaverini (guitar), Joel Willenbring (saxophone), Ron Griffith (electric bass), Tim Fitzpatrick (drums). Includes original release liner notes by Gene Weed. 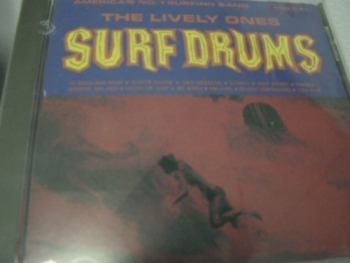 The second Lively Ones long-player, Surf Drums (1963), was compiled in much the same way their debut had been created, comparable to the vast majority of rush-released platters of the era. Del-Fi Records owner Bob Keane collected a few of the band's previous singles alongside a variety of already established covers, many of which were concurrent hits for other artists. 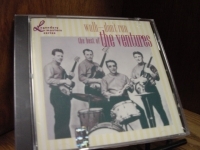 The instrumental quintet had gained a sizable name for themselves in and around the Orange County, CA, scene, scoring regionally on covers of the Ventures' dynamic "Spudnik" and the Fireballs' effervescent "Rik-A-Tic." The album opens up with a remake of Duane Eddy's mid-tempo, ambling "40 Miles Bad Road." The track is the perfect vehicle for Jim Masoner (guitar) and Joel Willenbring (sax), whose collaborations became an integral ingredient not only in the Lively Ones' sound, but helped to separate them from the plethora of similar units. Providing support for the soloists and rounding out the personnel are solid contributions from Ed Chiaverini (guitar), Ron Griffith (bass), and Tim Fitzpatrick (drums). 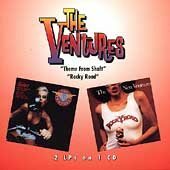 Despite the dearth of original compositions, the aggregate muscle through some choice overhauls of genre favorites, most notably the soulful strut of the Rockin' Rebels' "Wild Weekend," the high-energy yakety sax on the Belairs' "Mr. Moto" and the analogous rearrangement of "Tuff Surf," an R&B entry from the relatively obscure Nobel Watts. Surf Drums was reissued and paired with Surf Rider! on a two-fer CD from Collectors' Choice Music in 2004. 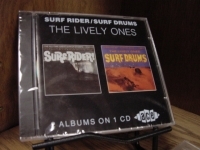 "The Lively Ones, Surf Rider/Surf Drums (2 LPs on 1 CD)"
Artist: Lively Ones (The) Release Date: Apr 25, 1995 Format: CD Record Label: Del-Fi Records, Inc. UPC: 731867123129 Genre: Rock Duration: Performer Sub-Genre: Surf & Hot Rod Distributor: Bayside Record Dist. 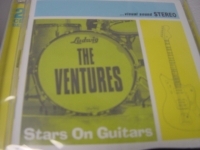 Recording type: Studio Recording mode: Stereo The Lively Ones were simply one of the best surf instrumental bands ever.This collection of 60's masterpieces are out of print rare ACE Records 2 LP's in one CD and could be your last chance of ever owning these outstanding instrumentals. They really captures the surf 60's era. Don't Miss Out. E-BAY STORE. FOR YOUR INDIVIDUAL RARE SURF SELECTIONS - INDIVIDUAL TITLE INFORMATION OR INDIVIDUAL PURCHASE JUST HIT THIS STORES TAB >. & TYPE IN SURF INTO THE SEARCH FIELD WITHIN OUR STORES SECTION AS YOUR PERSONAL CODE AND ALL INDIVIDUAL TITLES + INFORMATION WILL APPEAR Track Listings 1. Surf Beat 2. Let's Go Trippin' 3. Misirlou 4. Guitar Man 5. Caterpillar Crawl 6. Walkin' the Board 7. Paradise Cove 8. Goofy Foot 9. Surf Rider 10. Happy Gremmie 11. Hotdoggen 12. Surfer's Lament 13. 40 Miles Bad Road 14. Surfer Boogie 15. Wild Weekend 16. Stoked 17. Surf Drums 18. Shootin' the Pier 19. Rumble 20. Hillbillie Surf 21. Mr. Moto 22. Rik-A-Tic 23. Bustin' Surfboards 24. Tuff Surf Album notes The Lively Ones: Jim Masoner, Ed Chiaverini (guitar), Joel Willenbring (saxophone), Ron Griffith (electric bass), Tim Fitzpatrick (drums). 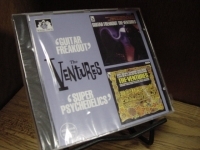 Includes original release liner notes by Gene Weed. 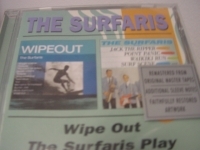 "The Lively Ones, The Greatest Surf Hits"
"The Surfaris, Wipeout &The Surfaris Play (2 LPs on 1 CD)"
Rare Out of Print Surf CDs. Remastered From Original Masters Tapes. Additional Sleeve Notes. Faithfully Restored Artwork. "Wipeout" Tracks Include: "Wipeout" "Wiggle Wobble" "Torquay" "You Can't Sit Down" "Green Onions" "Tequila" "Wild Weekend" "Teen Beat" "Yep!" "Memphis Tennessee" "Surfer Joe" "Walk Don't Run." "The Surfaris Play," Tracks Include: "Point Panic" "Baja" "Similau" "Bat Man" "Surfing Drums" "Misirlou" "Waikiki Run" "I'm A Hog For You" "Jack The Ripper" "Surfaris Stomp" "Blue Surf" Surf Scene." 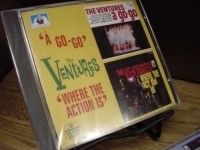 "The Ventures, 10th Anniversary Album & Only Hits - 2 CD Set - CURRENTLY OUT OF STOCK"
"The Ventures, A Go-Go & Where The Action is"
"THE VENTURES, Guitar Christmas PLUS Forever Fender"
"The Ventures, Guitar Freakout & Super Psychedelics"
"The Ventures, Play Telstar/ Ventures In Space"
"The Ventures, Rock And Roll Forever & Rocky Road (2 LPs in 1 CD)"
Out of Print See For Miles CD. Includes 18 Tracks: "Honky Tonk (Parts 1 & 2)" "Last Night" "Smokie" "Rumble" "You Can't Sit Down" "Ram-Bunk-Shush" "Guitar Boogie Shuffle" "Raunchy" "Soul Twist" "Sleep Walk" "Moonlight Serenade" "Daylight" "Temptation, Temptation" "Superstar Revue" "The Stroke" "Stepout" "Gotta Be Stronger"
"The Ventures, Stars On Guitars - 2 CDs"
"The Ventures, The Best Of: Walk Don't Run"
"The Ventures, The Ventures Hits"
"The Ventures, The Very Best Of The Ventures (2 Cds)"
Out of Print CD. Tracks Include: "Walk Don't Run" "Torquay" "Honky Tonk" "Raunchy" "Telstar" "Last Night" "Wipeout" "La Bamba" "Tequila" "Let's Go" "Ram Bunk Shush" "Wheels" "Perfidia" "Sleep Walk" "Green Onions" "Hawaii Five-O" "Pipeline" "The Ninth Wave" "Rebel Rouser" "Out Of Limits"
"The Ventures, Theme From Shaft & Rocky Road - 2 LPs in One CD"
Item specifics - Music: CDs Artist: Ventures (The) Release Date: Jun 12, 1998 Format: CD Record Label: One Way Records (USA) UPC: 724381938928 Genre: Rock Duration: Album or EP Sub-Genre: Surf & Hot Rod Condition: Brand new Special Attributes: -- Track listing 1. Theme From Shaft 2. Peace Train 3. Thunder Cloud 4. Gimme Some Lovin' 5. Indian Sun 6. Deep, Deep in the Water 7. Gypsys, Tramps and Thieves 8. Two Divided by Love 9. Tight Fit 10. I'm a Man 11. Never My Love 12. Cherries Jubilee 13. Moonlight Serenade 14. Daylight 15. Temptation, Temptation 16. Superstar Revue 17. Stroke, The 18. Step Out 19. Gotta Be Stronger 20. Rebel Rouser - (bonus track) 21. Bamba - (bonus track) 22. Moon Journey - (bonus track) Details Distributor: IDN Distribution Recording type: Studio Recording mode: Stereo SPAR Code: n/a Album notes Producers : The Ventures, Denny Diante, Spencer Proffer. 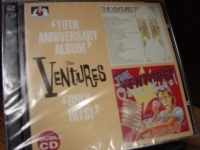 This set pairs two '70s releases by the long-running instrumental group the Ventures. 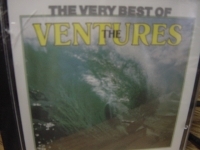 THEME FROM SHAFT finds the Ventures doing what they've always done well: combing through hits of the day and rendering them in crisp and edgy detail with, generally, an electric guitar taking the spotlight. The band, which was here fleshed out to a quintet with the addition of a keyboardist, changed its sound with the times, eschewing most traces of the surf music that had informed its work at the beginning of the '60s. ROCKY ROAD moved into the disco era with extended tracks and female backup singers (but, of course, no lead singers). The album is cast in a luxurious sheen, thanks to the use of strings and horns. Bobby Womack's "Daylight" is particularly lush, with guitars floating over the rolling waves of orchestration. 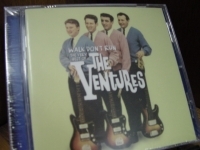 "The Ventures, Walk Don't Run: Very Best Of (Import)"
Additional Information about Walk Don'T Run: Very Best Of [IMPORT] Portions of this page Copyright 1988 - 2006 MSI Music Corp. All rights reserved. Track listing 1. Walk Don'T Run 2. Perfidia 3. Hawaii 50 4. Ram Bunk Shush 5. Apache 6. California Dreamin 7. Cruel Sea 8. Oh Pretty Woman 9. I Feel Fine 10. Let's Twist Again 11. Jumpin Jack Flash 12. Fever 13. Good The Bad & The Ugly 14. Green Onions 15. In Crowd 16. Guitar Twist 17. Driving Guitars 18. La Bamba 19. Red River Rock 20. 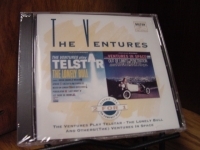 Telstar Album notes 20 great tracks from the most successful instrumental band of all time. 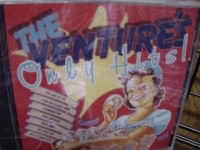 Includes their biggest hits 'Walk Don't Run' and of course, the theme from 'Hawaii Five-O'. All together here for a budget price! 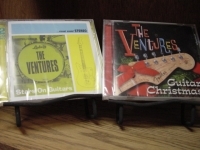 "The Wave Benders, Surfin' Christmas"
Out of Print Surf CD. Surf's up for Christmas! Santa's got a brand new wetsuit and a bag full of tubular tunes so you can celebrate in a big, boss way! Tracks Include: "Deck The Halls" "The Twelve Days Of Christmas" "We Three Kings" "Joy To The World" "Jingle Bells" "Rudolph The Red-Nosed Reindeer" "Silent Night" and many more! Track listing 1. Morgen 2. Raunchy 3. Home 4. My Own True Love (Tara's Theme) 5. Switch, The 6. Walk, Don't Run 7. Night Train 8. No Trespassing 9. Caravan 10. Sleep Walk 11. McCoy, The 12. Honky Tonk 13. House Of The Rising Sun, The 14. Diamond Head 15. Night Train 16. Peach Fuzz 17. Rap City 18. Blue Star 19. Walk, Don't Run '64 20. Night Walk 21. One Mint Julep 22. Pedal Pusher 23. Creeper, The 24. Stranger On The Shore 25. Walk Don't Run '77 26. Walk, Don't Run / Land Of 1,000 Dances 27. 2,000 Pound Bee, The (Part 1 & 2) Details Distributor: IDN Distribution Recording type: Studio Recording mode: Stereo SPAR Code: n/a Album notes 2 LPs on 1 CD: WALK DON'T RUN (1960)/ WALK DON'T RUN VOL. 2 (1964). 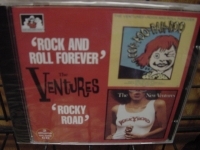 This pair of albums, released in 1962 and 1964 respectively, shows how the Ventures tirelessly delved ever deeper into the world of rock & roll instrumentals. The band all but cornered the market, and became the quintessential instrumental band of the era. "Walk Don't Run '64" was an update of the earlier-recorded song, and became a big hit in the summer of its release. The key difference between these two excellent albums is the addition of drummer Mel Taylor, who joined the band for the later release (replacing Howie Johnson). Taylor's drumming swings and breathes with the subtleties of a jazzer. 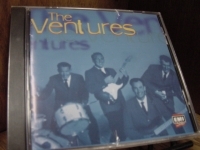 The spotlight generally falls on the cleanly articulated lead guitar lines, but the bubbling rhythms underneath are what set the Ventures apart from their contemporaries. 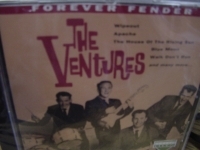 While the cover songs are what first attracted many people to the band, the Ventures' originals contain many of the same winning elements: flair, surprise, and relentless rhythms.